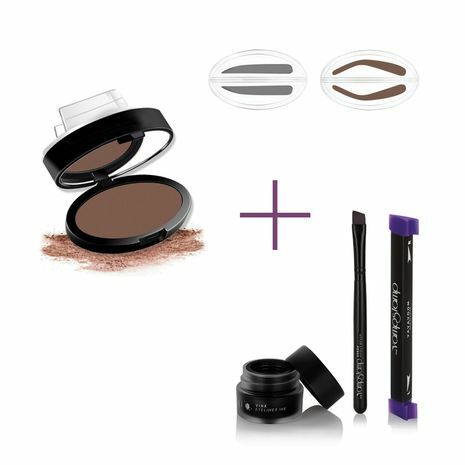 Eyeliner - Beautyware Eyebrow Powder Stamp + Gothic Stamp Eyeliner (10557) μόνο 12.90 !!! End all your eyebrow troubles today with this Eyebrow Powder Stamp for Strong and Well-Crafted Eyebrows! Easily create a natural eyebrow shape in just seconds! Ideal for those who are always rushing to work, class or even the gym. Just gently press the sponge onto the eyebrow powder, position it where you want your eyebrows to be, and press from brow end to end! Suitable for all people who love to put their personal touch by emphasizing their natural features. Dip into Eyeliner ink or your favorite cushion or liquid liner. Make sure stamp is fully coated with eyeliner ink. Wipe off excess on the side of stamp with a wet-wipe to ensure a sharp finish. Stamping - Align to the edge of your eye at preferred angle and press on in a quick stamping motion. Do not press down too firmly and do not re-stamp. This will avoid smears and smudges. Continue the line along the upper lid to complete the look, and fill in the gaps. Repeat on opposite eye! CONTENT OF PACKING: 1pc Vamp stamp eyeliner, 1pc angle brush, 1pc eyeliner ink. 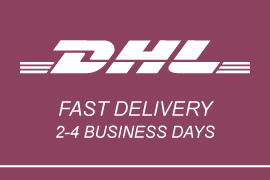 2 – 4 Business days for delivery via DHL. Check the Return policy and the general conditions and conditions of the 14-day right of withdrawal. Become an Affiliate/Blogger and Start Earning! How do i become an Affiliate/Blogger ?